Beginning on Tuesday, August 27th at 10 a.m. 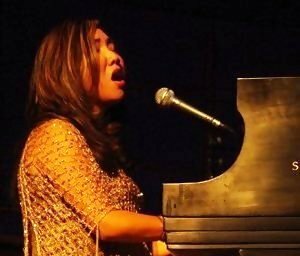 Faith Rivera will give the first of her virtual concerts on StageIt.com to provide inspiring music or what she calls a “musical spa for the soul” to listeners worldwide. An ongoing monthly event, Rivera hopes to bring healing to those who tune in. “Faith has a desire to reach those who may be caring for a loved one at home or who may be facing an intense challenge themselves. This music will be from her heart to theirs” said Nolan Hee, Owner of Lil’ Girl Creations, Rivera’s record label. Viewable from any laptop or computer around the world, these concerts will be held at 10 a.m. on the last Tuesday of every month. Rivera is an Emmy award winning singer and songwriter. Her music has been used on television shows like Hawaii 5-0 and in various convention settings by life coaches, yoga instructors and progressive organizations like the Association for Global New Thought and Unity Worldwide. Sharing the wealth of fifteen years of making music and touching lives, Rivera nurtures her audiences with empowering messages and melodic soul stirring inspiration. Best-selling Author Neale Donald Walsch said of Rivera’s gift, “Music to bring joy to every heart, stir the soul, and raise the consciousness of humanity, all at the same time! What more could anyone ask?" Could you use some quiet, healing "me" time with soothing music to lift your spirit? If you said yes, join Emmy-winning singer/songwriter Faith Rivera in an intimate "musical spa for your soul." Inspired by a fan who has been home-bound for years caring for a sick loved-one, Faith decided to host a monthly concert to support those amazing people who spend all their time caring for others. So if you're in need of some TLC yourself, just find a comfy spot, take a break from your duties, grab a cozy cup o' tea and let the music love you up & fill you up. You deserve it! Faith will be hosting this Concert for Caregivers at 10am on the last Tuesday of every month.